Suitable for use with Brompton Bikes. 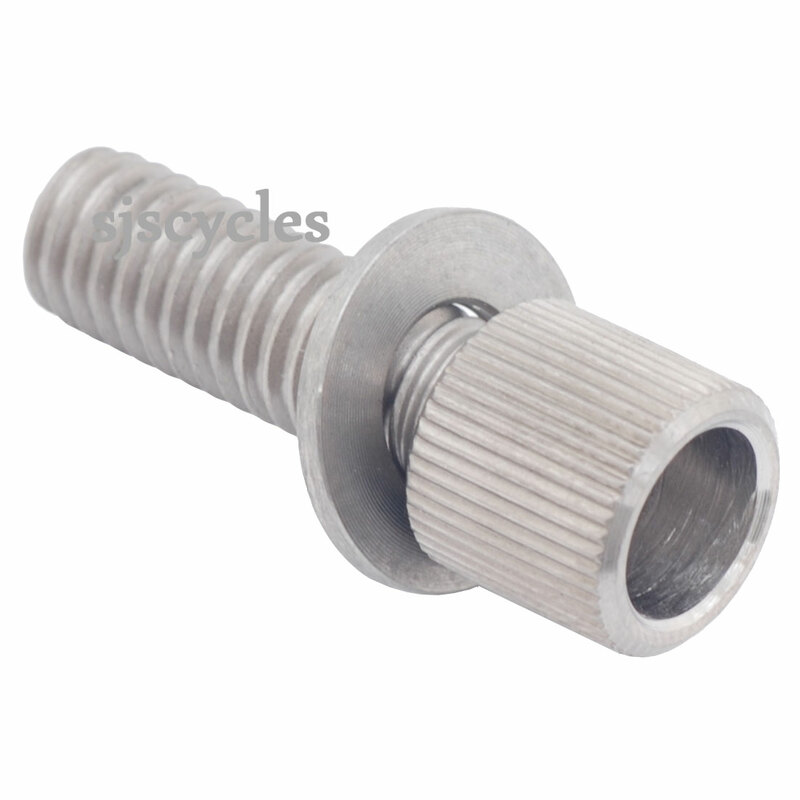 Fits the Brompton Cable Pulley Assembly (Brompton Part # 9011063 / QCPULA). Make your Brompton lighter with Ti Parts Workshop titanium components. This Cable Pulley Titanium Bolt weighs 2.8g. Includes washer.